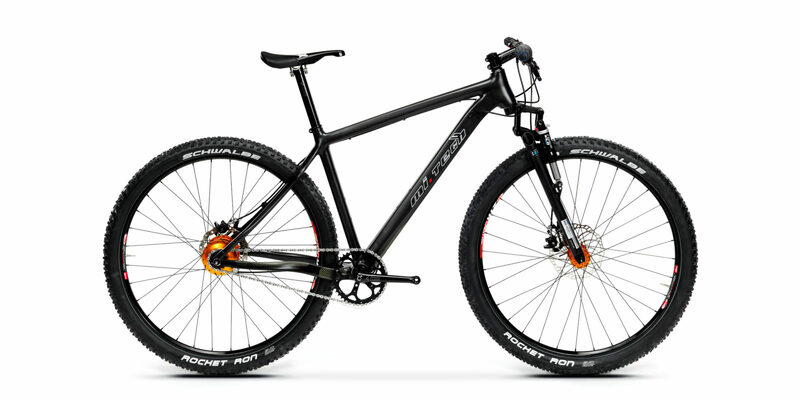 The Tyke Ro EX Carbon is specifically designed to use Rohloff gears. The total weight of the pictured bike is 8.9 kg. Suitable for XC racing, marathons and touring; also available as 26” and 27.5”, trekking and Gates Carbon Drive version. Kevlar inserts are laminated into the frames at vulnerable points (chain stays, downtube) to protect the carbon fabric against external factors.